Gerri began writing lesbian romance as a way to amuse herself while snowed in one winter in the mountains of Colorado, and hasn’t looked back. Her first published work came in 2000 with One Summer Night. Many more romances have followed, with the occasional murder mystery in the mix. Gerri’s love of nature and of being outdoors usually makes its way into her stories as her characters often find themselves in beautiful natural settings. When she isn’t writing, Gerri and her longtime partner, Diane, can be found at their home in East Texas, where their vegetable garden, orchard, and five acres of woods keep them busy. They share their lives with an ever-changing cast of furry friends. 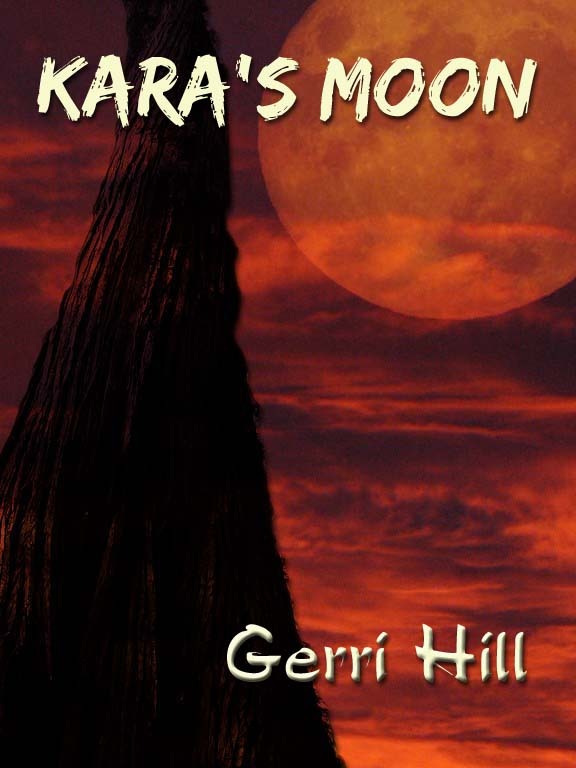 Gerri Hill: Multiple finalist for Lambda Literary Awards in categories of Lesbian Romance and Lesbian Mystery. Gerri Hill: Snow Falls, Devil’s Rock and multiple other novels winners in categories of Lesbian Romance, Lesbian Mystery and Lesbian Romance/Intrigue, with additional shortlisted works. Gerri is a really big inspiration for many writers and I am definitely one of them. Her body of work and legion of fans speak volumes about her prolific talent. So when I got the chance to interview one of my writing heroes, I ditched my cake and jumped at the chance. As there are so many wonderful books, it’ll be quite the whirlwind tour… hang onto your (bird watching) hats! Hi Gerri, thank you ever so much for dropping in to chat. It’s well known that you started writing while snowed in but did you ever aspire to write as a child and who were your influences growing up? My pleasure! Thanks for asking me. I wouldn’t say I aspired to be a writer, but I did write when I was younger. I wrote a “western” when I was in the 6th grade and passed it around to all my friends to read! Quite the love story between Jill and Joe!! The summer before my freshman year in high school I also wrote a romance, this one a little more racy and modern. Honestly, after that, I didn’t write another single thing until the fateful “snowed in” episode. I did love to read growing up. Mostly whatever popular fiction books were out or my mother’s stash of Harlequin Romance! When did Kara’s Moon develop and how much did you learn from writing it and how did The Academy of Bards fit in? Do you think that gave you a great link with other writers and readers alike? How much do you think fan-fiction has influenced the market? I started writing Kara’s Moon after a trip to Seattle. I don’t remember what inspired the story itself, but obviously the location came about from my visit to the area. A friend suggested that I post it at The Academy of Bards and I’m very thankful that she did! It’s a wonderful site and I know other authors who also got “discovered” by posting stories there. Fan-fiction has allowed many people the opportunity to write and to share their stories in ways that they never could have before, unless they were published. I will start with your romances. One Summer Night was your debut novel and features two very different college professors. What made you decide to move into a full length work and could you tell us about your journey to Publication? I was still in the early stages of learning my craft with One Summer Night and I have a difficult time even looking at it now….there’s so many things I would change! I submitted One Summer Night to the now defunct Rising Tide Press. It was a very lengthy process of mailing the manuscript back and forth but finally getting the copies of my first book was a thrill I’ll never forget. Unfortunately, they dissolved the business and they sent me a hand-written note letting me know! This was in 2000. I continued to write and submit my stories to The Academy of Bards. In the meantime, I sent Sierra City to Bella Books for consideration. Gulf Breeze was your second novel, I’ve picked it because it was a 2004 LAMBDA FINALIST along with taking in one of your passions, nature. Did you find writing after publication more of a challenge? Carly and Pat have a tempestuous relationship, how much fun or a challenge were they to write? Gulf Breeze was fun to write. I enjoyed the banter between Pat and Carly and, as you said, it allowed me to incorporate some of the things I love (nature, bird watching, etc.) into the book. That was really the start of trying to include “nature” in my writing and it has become a central theme in many of my books. I’m going to pick Artist’s Dream next. You explore the effect of parental disapproval in the novel along with the (not so) religious sentiments of Cassie’s father. Did you find it easy or difficult to balance the main love story with Cassie’s own insecurities and of course her father’s shadow? I currently live in a very conservative, overly religious part of East Texas, which inspired the theme of this book. Was Cassie’s insecurities solely due to her father? I think at the time of writing, yes, that was my intention. As she got closer and closer to Luke, her father’s “voice” was like a shadow over her. Love won out, of course! Over the years, I probably have gotten more emails about this book than any other. I was shocked to find how many people could relate to Cassie. So many of them shared their stories with me and so many of them were still hiding from their parents. Or worse, had given up the dream to find true love and had married men instead, just to fit in with their families. The Midnight Moon delves into falling in love with someone who isn’t the character’s type. How much fun was it to turn a character’s wants and needs on their heads? The Midnight Moon was so much fun to write and I loved the characters. When I was first starting on it, I didn’t intend for Peyton to be quite as uptight as she ended up being, but I wanted her to be as opposite of Logan as I could get and still be real. Over the course of the book, we see that they both change and end up meeting a little more in the middle. Although Peyton changed the most, obviously. This is another book where characters from previous books show up. In this case, Jay and Drew from The Rainbow Cedar. Readers often wonder what becomes of characters and this is a way to bring them back without writing a sequel. Carly and Pat from Gulf Breeze are friends of Gina from Love Waits and Morgan and Reese from No Strings have a part in Snow Falls. Behind The Pine Curtain, At Seventeen and Love Waits all highlight the theme of first love but in such very different ways. How much do you enjoy exploring the many different possibilities within a theme and how much of a challenge (or not) is it to find different paths to weave? I find this theme to be interesting to write, because, yes, there are so many different possibilities for that “first time” story. Behind the Pine Curtain is different than the other two in that Jackie and Kay were not lovers until they were adults. From the feedback I received for At Seventeen, it might be the more traditional story in that one of the characters gets married to a man, doing what’s expected of her, rather than following her heart. And like so many of the emails I got, Madison did what most finally do….give up the charade of being “straight” and find the love they missed out on the first time around. Of the three, I think At Seventeen is my favorite. No Strings, Storms and Snow Falls have a character in them who is in exile (whether it is self imposed or otherwise.) Do you find that inner angst within a character inspires you when writing? Are such characters the hardest or most juicy to write? For some reason, I gravitate to characters like that. A lot of readers think that’s a reflection on my life and have offered me condolences on being estranged from my family! Quite the opposite, as I’m very close with my family and they’ve always been supportive. Perhaps you’re right…it is the “inner angst” of the characters that draw me. I don’t find these characters difficult to write at all. The “brooding” character is one of my favorites. Moving onto your darker side. Thrillers/mysteries and terrifying things lurking below the surface. What drew you into the genre and how does it differ from writing a romance? Hunter’s Way was the first murder mystery I wrote, but the focus of the book was very much about the relationship (and romance) of Tori and Sam. I consider myself a romance writer, first and foremost, so every book will have some aspect of a love story. Keepers of the Cave was the first really “dark” one (unless you count serial killers!) and it was very different for me. I was a little anxious about what kind of reception it would get, so I was surprised by how popular it was. I realize that what drew most readers to it wasn’t the story itself, but rather the relationship of CJ and Paige (two of my very favorite characters, by the way!). I continued their romance in Weeping Walls and may do a third with them. First and foremost, I’ll ask about The Hunter Series. Tori Hunter is one of those characters who should be unlikable, yet, she is one of your most popular. (Not forgetting the fiery Samantha Kennedy.) Did the reception to Sam and Tori surprise you? Had you set out with Tori’s arc in mind? Yes, I was surprised. I wanted Tori to be a little abrasive, a little raw. But it’s a fine line and it would have been so easy to push her past the point where readers didn’t like her. I think some of the sympathies readers had for her was the murder of her family. That obviously affected her and shaped her life, which gave her an excuse to be as abrasive as she was, even though underneath it all, she was very vulnerable. That vulnerability is what drew Sam to her. When Hunter’s Way ended, I had no intention of continuing their story, feeling I had left them in a good place! You have said that, “I find I’m much more interested in creating new stories instead of revisiting old ones.” How did the characters manage to persuade you into writing a follow up and then a third? It wasn’t so much the characters that persuaded me as it was the readers! I really don’t like sequels but I understand readers need to have the story continue. Even then, like in the Hunter Series, I brought in new characters in each book to keep it fresh. And as I said earlier, bringing back old characters in new books is a way for readers to keep up with their favorites and know that they are alive and well!! Onto The Killing Room. Jake is one of your personal favourites, can you tell us a little about why that is and how the idea came to you for the book? How important was it for you to show that Jake wasn’t bullet-proof (as in so many books cops are) but to show the effects of such a dangerous job? I find Jake to be strong, yet not afraid to show her weakness, whether it be physical or emotional. Jake is steady and accountable, both to her partner and to Nicole. Overall, I just liked her personality. When first creating characters, I don’t always know how they’ll turn out and whether I’ll like them as much as I thought I would. Jake was one of those characters who clicked for me. I have to give a special mention to The Target which is my personal favourite. Jake even makes a cameo appearance in it, doesn’t she? As with The Killing Room, The Target takes in your love of nature. Did you put a lot of your own experience of hiking into this novel? Are the trails and locations places that you have explored? Yes, Jake and Cheyenne, her dog, pop up in this one. I have explored this area and love the “ghost town” of Tin Cup. I did not, however, backpack across the mountains like these ladies did! You also make some pretty tough decisions in this book, did you plan that out and then find it difficult when you reached the scene? Or were you able to detach yourself for the story? I had always planned for there to be a tragedy, although I hadn’t decided who or what. Sandra was one of my favorites (and Jaime’s favorite, too) so it was difficult when I wrote that scene. The Ross & Sullivan Series – Devil’s rock introduces us to Cameron Ross. The Hunter Series was the launchpad for this novel. Can you talk a little about why you were inspired to take Patrick Doe and explore it further? And just how cool is that cat? When I was writing Partners, the last in the Hunter Series, I decided to leave Patrick Doe for another book. I wasn’t certain at the time if I would have him in a fourth book in the series or start another one. After going over different scenarios, I decided to bring in new characters in a new book and go a little more in depth with who Patrick really was. Lola (the cat) came about because I found Cameron to be a little rough around the edges and I wanted to soften her a bit!! Hell’s Highway amps up the tension further and has you wary of many of the characters involved. Was that something that you wanted to incorporate or did that just come organically as you wrote the book? It’s planned to some extent but I seldom write with outlines, so some of it just works out that way. The Johnston & Riley Series – Keepers of The Cave sees you delve into a more creepy world of myth and also sees you explore new ways of utilising POV. Can you tell us about why that felt right to you and what did you learn from the process? There are four POVs in this one, which is rare for me. (I used three POVs in Coyote Sky, one of my very favorite books!) I mostly always use two, although I’ve used only one in Artist’s Dream and The Cottage. I wanted to get the guys involved in this one and the best way for the reader to relate to them is through POV. It also afforded me the opportunity to show different sides of CJ and Paige, as seen through Ice and Billy’s view. Weeping Walls sees you tackle haunted houses and you have some hilarious reactions to being near a spooky house. (I am with them all the way.) Did you find it great fun to write and did you manage to scare yourself too? This was another fun book to write and yes, I had a good time with Ice and his fear of ghosts! I don’t find the book to be overly scary but a lot of the readers did! Your current book due for release is Angel Fire which is the highly anticipated crossover of The Hunter Series and The Ross & Sullivan Series. How did it feel to revisit Tori and Sam and how difficult was it to juggle such incredibly strong characters within a novel? It was a little difficult getting Tori and Sam’s “voices” back after such a long time. And I also wanted to show that they’d grown, too. This book is in all four POVS and I tried to give them all equal time, however, as you read it, you’ll find that Sam gets top billing! The hardest part with all the POVs was Tori and Cameron, since their personalities are so much alike. A vacation out of the city sounds like just the ticket for Tori Hunter and Sam Kennedy. Joining their Dallas Police Department pals Casey O’Connor and Leslie Tucker in a rented RV, they set out for the New Mexico mountains—and on a collision course with a manhunt. FBI agents Cameron Ross and Andrea Sullivan are tracking a deadly quarry in desolate territory. An ex-teammate from Cameron’s Special-Ops days is in deep hiding, planning who-knows-what to cap off a killing spree. With a hostage at stake and time running out, Cameron reluctantly agrees to outside help from women she doesn’t know…or trust. In the crossover that fans have been clamoring for, it’s a heart-pounding race against time that challenges the courage and commitment of the exceptional women from Gerri Hill’s Hunter’s Way and Devil’s Rock Series. You talked to Jon Michaelsen (http://www.jonmichaelsen.net/?p=1708) about how you write a few points down that you want to hit but otherwise you don’t use outlines. Can you tell us what kind of points you make sure you want to hit? No, it really depends on the book. And even then, if I do have something I want to hit on, I may change it as the book evolves. My “outline” is really nothing more than notes I’ve jotted down, in no particular order or timeline, and with no expectation that I’ll even use them at all! You say of writing, “There’s no greater feeling than seeing that first book in print, touching it, opening the cover and reading the words you’ve written, wondering if anyone out there will like what you’ve written!” How important is it for you to enjoy the books that you are writing? Do you think that the energy you feed into the words on the page then translates to the reader? If I don’t enjoy what I’m writing, I would have no confidence that readers would enjoy it. I understand that everyone’s tastes are different and not everyone will enjoy all of my books equally. My mantra, going all the way back to when I first started writing, was to “write for myself”. I write about things I like and I create characters who I would want to be friends with. Quite rightly, you have many awards to your name, is that something that is an important goal to you or is it a bonus on top of doing what you love? Awards were never a goal, but it’s absolutely thrilling to win one! With so many talented authors out there, it’s an honor just to be nominated. I know that sounds liked a canned response, but it is very true! Your advice to rookie writers’ is, “If you have a love of writing and your goal is to get published, my advice is simple. Don’t give up.” Is there anything about the process that you would like to add? Keep it fun! When it stops being fun, then I think it’s hard to have a “love” of writing. I would say dialogue and character development. Not sure “typical” fits here! I try to stick with a plan/routine but that doesn’t always happen. For the most part, I write in the mornings. I try to write something every day, whether it’s a chapter or only a few paragraphs. I never tie my writing schedule to a word count. Tough question. I’ll go with It, by Stephen King. What is your ‘tic’ word when writing? I wish I could say I only had one! I use “just” too much. I also use “she nodded” and “she smiled” too much, but I’m a big believer in facial expressions and body language when I’m writing dialogue. If you observe people when they’re talking, you’ll see a variety of shrugs, nods, frowns, smirks, smiles, etc. My editor would say “just” since I use it so much! I like to think that I’m continually working on all aspects of my craft. As a writer, I don’t think you can ever be satisfied with your skill level and I feel like I can certainly get better. Thank you for dropping in Gerri, it was such a pleasure chatting to you. Jill and Carrie—both married with teenage children—meet one day during Jill’s lunch break at a local park. Soon a friendship is forged. A friendship that deepens with each visit. Jill’s husband still lives and breathes the coach’s life, a life that leaves him little time to spare for Jill. Left on her own more and more, Jill finds herself searching for the indefinable something that has been missing all her life. Married to a successful businessman, Carrie Howell retired early from a career in real estate to spend more time with her teenage boys, and to pursue her lone passion—painting. She, too, has felt for some time that something is missing from her world. Madison Lansford and Shannon Fletcher met when they were ten years old. Madison—daughter of wealthy parents and Shannon, daughter of their live-in maid and cook—became fast friends, yet both knew their place in life. There was never a doubt that they would become lovers . . . there was also never a doubt that Madison would marry and maintain her social standing in the community. Little by little, they grew apart, their love affair ending with Madison’s marriage and pregnancy. Now, years later, Shannon returns to her old hometown to care for her ailing mother. Can they rebuild their friendship? Or will their new-found closeness bring back memories of their long-lost love? Travel through the years with Shannon and Madison and watch their love unfold as they move from teens to young women and into adulthood. Poking a sleeping bear with a sharp stick is foolish. Marty Edwards is about to be very foolish. Investigative reporter Marty Edwards has found her niche: cold cases. She loves pouring over old notes, hunting down long-forgotten witnesses, and digging down through the layers of an unsolved murder case. But this time, Marty is digging where someone obviously doesn’t want her. And that someone might also include the Brownsville Police Department. Why else would they assign Detective Kristen Bailey to baby-sit her? Barely surviving two attempts on her life, Marty abandons Brownsville and the case. Danger follows her as the case turns red hot. With Detective Bailey along for protection, they race along the Gulf Coast, neither knowing who, if anyone, they can trust. The hardest part is learning to trust each other before it’s too late for their hearts—and their lives. You’ll hit the ground running with this exciting race of life-and-death from Golden Crown Literary Award winner Gerri Hill. Winner, Golden Crown Literary Award. Seven-time Goldie winner Gerri Hill delivers thrills and passion in the chilling sequel to Keepers of the Cave.